WHAT DO THE NUMBERS MEAN ?? Week 18 was a small loss of $204 bringing YTD gains to $4371. We did however add a couple of new positions and the funds in use number is now $1,485, consisting of positions in HL calls, NEM calls and the SIG puts. The question of what the government numbers actually mean is brought into question this week. As I’ve noted in this space before, you should never make your investment decisions based on government numbers that will be “adjusted” several times until they are final. This primarily deals with the GDP numbers that as we all know are adjusted 3 or 4 times before the final, and sometimes (as in Q4) can actually go from positive to negative. However, what I am zeroing in on today are the employment numbers and their corresponding counterpart the first time claims for unemployment benefits. For the month of April the President and the Secretary of Labor pound the table with the 74th month in a row that we have created new jobs. Are they kidding?? We did gain 160,000 new jobs. However, if you deduct the 247,000 new claims for Unemployment benefits it’s not quite the rosy picture portrayed. As noted last month, most of the jobs were of the minimum wage and Federal categories. Add to this another new low in the labor participant rate to 62.8% and it just gets worse. With tech sector margins shrinking and topline growth practically non-existent you can see why retail has also declined. The old “buying the dips” strategy ceases to work when we are not in a strong bull market. Oil price stability has helped but as I noted last week, strength and moves to the upside have their own dangers. 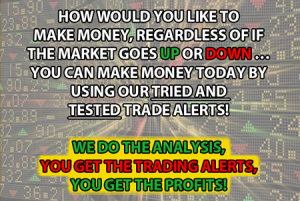 Due to the open positions and the tentative markets there will be no new trades tonight. SPY Jan 25th 147 Calls or Puts. FXE June 109 Puts were sold on the 50% Loss rule taking a hit for $ 408 on the 8 lots. 4 MOS May 6th 27.50 Puts made a profit of $188. The total for the week was a negative $ 320. For the entire year on closed out trades, our hypothetical profits decreased to $16,139. SUN written Calls, which reduces the requirement to $ 74,959. The Open Option Position requires $ 800.
leaving $ 24,241 in cash. China Reports on both Consumer and Producer prices for April. Euro Zone Finance Ministers hold a special meeting on Greece. Minneapolis Fed President Neel Kashkari speaks to the Economic Club of Minnesota. SiteOne Landscape Supply is set to price 10 million shares at $ 21 each. U.S. Oil Rig Count fell for the seventh straight week -4 to 328, Nat Gas rig count remained unchanged at 87. Since hitting a multi-month high on April 20, DJIA and S&P 500 have been steadily trending lower and May performance continues to be poor living up to its seasonal sub-par performance. Markets hate uncertainty and this election year has even more than the usual election year uncertainty. 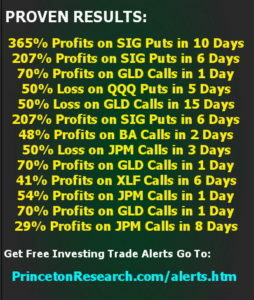 First trading-day in May strength quickly faded with the market giving back that day’s gains and more on the second trading day. After two weeks of weakness DJIA and S&P 500 are now approaching key support levels. 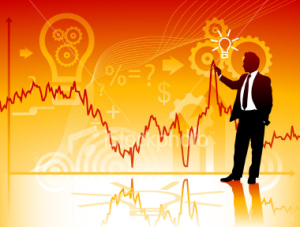 Market weakness was all about disappointing domestic data and slowing global growth. Cyclical stocks, which had led the rebound since the Feb 11th low such as mining, industrials and energy, were all substantially lower. The Metals and Mining ETF ( XME: $ 22.76 ) -1.86 or -7.6% fell sharply, breaking below its 13-day moving average, following new highs for the year. The Transportation index was the worst performing index down 132.67 points or 1.69% and falling below its 200 day moving average. Airline stocks in particular were hard hit over the past month falling sharply over the past three weeks. 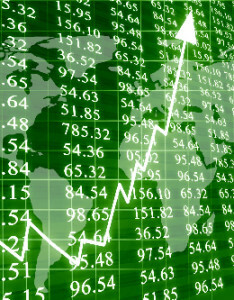 The ETF ( JETS: $ 23.06 ) – 3.08 or -11.8% from the highs reached April 19th. United Airlines fell the most ( UAL: $ 45.70 ) – $ 12.35 or -21.3%. American Airlines ( AAL: $ 33.03 ) – $ 8.73 or-20.9% was second worst. Alaska, ( ALK: $ 68.51 ) – $ 13.61 or -16.6%; Southwest Air ( LUV: $ 41.73 ) -$ 5.77 or -12.1%; rounding out the fab five, Delta ( DAL: $ 42.04 ) -$ 5.38 -11.4% fell the least. After benefitting from low fuel costs they all fell victim to pricing and capacity woes. The Russell 2000 was second worst index falling 16 points or 1.43%. The Nasdaq recovered sharply late Friday to reduce its loss to just 39 points or 0.82%. It had been down 91 points for the week reaching a new low for the move at 4,684.28. 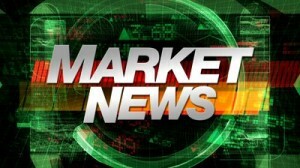 The Dow at 17,741 was off 33 points for the week having recovered 161 points from its low Friday at 17,580. The S&P 500 also staged a smart recovery having tacked on 18 points from the low of 2039.42. For the week it fell just 8 points to 2057. At the lows, Thursday, S&P 500 was a mere three points above its quickly ascending 50-day moving average. DJIA has a slightly better cushion of around 100 points. NASDAQ is in no-man’s land trading well below both its 50- and 200-day moving averages. Two weeks of weakness has Stochastic, relative strength and MACD indicators stretched toward oversold. An oversold bounce is not out of the question however, NASDAQ’s lagging performance is likely to limit the magnitude and duration of a bounce, further reducing the already slim odds of new all-time highs. Nasdaq is by far the worst of the three top indexes and will be an obstacle throughout the summer for stocks to regain their mojo. Facebook ( FB: $ 119.49 ) up 1.6% for the week made a new record close and has been the exception. Facebook spiked in the previous week after reporting a 3rd consecutive quarter of accelerated earnings and revenue growth, defying gloomy reports of flagging user engagement. Quality stocks such as Church and Dwight ( CHD: $ 96.84 ) + $ 4.14 or + 4.4% had a great jump surging in a difficult week. The deterioration in first quarter earnings was expected and widespread with 87% of the companies in the S&P 500 having reported. The decline in earnings is about 7% somewhat less than expectations of nearly 10%. About 53% of companies beat estimates, which in itself is below the five-year quarterly average. However, top line results were much lower across the board. The Dow performed much better than the other indexes holding well above its 50 day moving average even at its low last Friday. It is also more than 600 points above its 200-day moving average. Only 2 Industrial groups out of the 10 were down more than 2%: Oil and Gas fell 3.45% and Basic Materials were off 2.35%. In other categories, Health Care was down 1.06%. 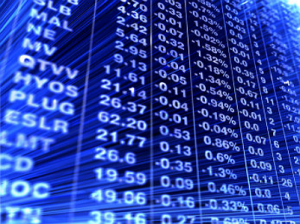 Industrials were down 0.64%; Financials off 0.40%; Technology was down 0.33% and Telecommunications a minus 0.08%. Three groups ended the week positive: Utilities were up 0.83%; Consumer Goods gained 0.71% and Consumer services added 0.27%. Consumers have money and should spend more throughout the summer and going into the election. This should bolster Dow stocks in comparison to the other indexes. Payroll Numbers Decline while Aggregate Earnings Rise an impressive 0.8%. The Unemployment Rate remained unchanged at 5%. Nonfarm payrolls increased by 160,000 (Briefing.com consensus 207,000) versus the prior 12-month average of 232,000 and the prior 3-month average of 200,000. March nonfarm payrolls were revised to 208,000 from 215,000 while February nonfarm payrolls were revised to 233,000 from 245,000. February average hourly earnings were up 0.3% (Briefing.com consensus 0.3%) after being up 0.2% in March. Over the last 12 months, average hourly earnings have risen 2.5% versus 2.3% in March. Aggregate earnings were up a robust 0.8%. Private sector payrolls increased by 171,000 (Briefing.com consensus 191,000). March private sector payrolls were revised to 184,000 from 195,000 while February private sector payrolls were revised to 222,000 from 236,000. The average workweek was 34.5 hours (Briefing.com consensus 34.5) versus 34.4 hours in March. The March manufacturing workweek was unchanged at 40.7 hours. Factory overtime was unchanged at 3.3 hours. The U6 unemployment rate, which accounts for the total unemployed plus persons marginally attached to the labor force and the underemployed, was 9.7% versus 9.8% in March. The 0.8% increase in aggregate earnings should boost the economy as more money on the table helps consumer spending. However, consumers have been demonstrating a striking propensity of late to save more than they spend. That has contributed to weaker GDP growth overall, so we’ll have to wait on future data to see if that propensity to save has changed. If, and when, it does, it will be a booster to GDP numbers and the U.S. economy. Productivity decreased at a 1.0% annual rate in the first quarter. That was better than the Briefing.com consensus estimate, which called for a 1.4% decline, yet it followed on the heels of an upwardly revised — but still weak — 1.7% decline (from -2.2%) in productivity in the fourth quarter. Unit labor costs jumped 4.1% in the first quarter (Briefing.com consensus +2.6%), reflecting a 3.0% increase in hourly compensation and a 1.0% decrease in productivity. Productivity has increased at an annual rate of less than 1.0% in each of the last five years, which helps explain the stagnant growth of the U.S. economy. On a year-over-year basis, productivity is up just 0.6% while unit labor costs are up 2.3%. That’s a relationship with stagflation written on it. Each and every year, as the “Worst Six Months” May through October for DJIA and S&P 500 near, the “Sell in May” debate begins. Since we already know that the market tends to post the majority of its gains from November through April and does very little from May to October, we are not going to bother debating whether one should actually sell in May or not. Instead, let’s focus on what tactical changes can be made in portfolios to take advantage of what actually does work during the “Worst Six Months” while either shorting or outright avoiding the worst of the worst. In the following table, the performance of the S&P 500 during the “Worst Six Months” May to October is compared to fourteen select sector indices or sub-indices, gold and the 30-year Treasury bond. Nine of the fourteen indices chosen were S&P Sector indices. Gold and 30-year bond are continuously-linked, non-adjusted front-month futures contracts. With the exception of two indices, 1990-2015, a full 26 years of data was selected. This selection represents a reasonably balanced number of bull and bear years for each and a long enough time frame to be statistically significant while representing current trends. Dividends are not considered. AdvisorShares Ranger Equity Bear (HDGE) is a position added that should be considered if and when supported by higher volatility. The HDGE traded as low as $10.03 in April, but has since rebounded. Purchases could be considered accordingly. its membership across all platforms for advertisers. Martac Maritime Tactical Systems, Inc.: MARTAC recently conducted very successful field trials on the Inter-coastal waterway in Palm Bay, Florida. MARTAC is a Melbourne, Florida based company that designs and produces the Man-Portable Tactical Autonomous Systems (MANTAS) that can reach extreme high speeds and operate anywhere in the world. These vehicles are designed to be used in numerous applications including naval fleet protection, mine warfare, port and harbor security patrol, antipiracy, search and rescue, and many others. shows our high quality and high performance gets us into the military space at a time when made in USA is of critical strategic importance. Oakridge has recently continued expansion of its ISO certified manufacturing facility and warehouse in Palm Bay, with the support of Florida Governor Rick Scott. The new facility represents a $270 million investment, increasing the size of the manufacturing plant to 70,000 sq-ft to accommodate the growing demand for OGES batteries. Production is expected to increase from 250,000 to 25 million cells per year by 2018. The company’s growth will provide 1000 Americans with new jobs; this is part of the company’s commitment to support domestic employment. Overseas, Oakridge Global Energy Solutions Limited (Hong Kong) is a subsidiary company that operates for sales and service in Asia. A leading developer of patented placenta-based cell therapy products through its ( Placental expanded ) platform. In 2016 PLX cells will enter pivotal trials aimed at marketing approval in two indications serving multi-billion dollar markets. Positive clinical trial data for the cells have been reported in multiple indications. PLC cells release a cocktail of therapeutic proteins in response to inflammation, ischemia, hematological disorders and radiation damage. The Company’s proprietary, three – dimensional expansion technology is used to grow the cells in mass quantities with batch-to-batch consistency at Pluristem’s FDA and EMA approved state-of-the-art manufacturing facility. The cells do not require tissue matching prior to administration, making the treatment cost effective and readily available in virtually any medical setting. Pluristem has a strong intellectual property position, GMP-certified manufacturing facilities, strong balance sheet and strategic relationships with major research institutions. Japan’s Patent Office just granted Pluristem two key patents, which cover: 1) Pluristem’s core technology of three-dimensional expansion methods for producing therapeutic cell products derived from placental or fat cells; 2) the use of placenta-derived cell products grown with this 3D technology to treat disorders of the hematopoietic system* (see below for a bit of detail), such as disorders caused by exposure to radiation or chemotherapy, and failed engraftment of hematopoietic stem cell transplants. Pluristem continues to strengthen its IP position in order to support the current negotiations with pharmaceutical companies in Japan regarding potential partnerships for the development and commercialization of its Placental expanded (PLX) cells. Pluristem is able to apply for conditional marketing approval after a single successful phase 2 study. If the Phase 2 results are positive and PLX-R18 gets approved on the basis of those data, they will not need to spend the years and millions of dollars on Phase 3 trials, but will have to collect “real world” data on patients who have been prescribed the drug to treat critical limb ischemia, once it hits the market. In any case, acquiring IP for all placenta-derived cell therapies is crucial to activities there, as is protection of Pluristem’s 3D manufacturing methods. Has both mining activities in Australia and the U.S. Gold Mining USA Inc is an emerging natural resources company focused on developing metallurgical and mining projects. The Company’s business model is to acquire projects with the potential to provide significant resources through exploratory drilling and generate value through their development, joint venture or divestment. GMUI has a team of experts who will manage all mining operations available on their website. In addition GMUI has an Offtake Agreement with a prestigious Swiss-based Gold buyer and Refiner to purchase its gold production at the spot price at the London Bullion Market ( LBMA ) on the day gold is collected. Value oriented stocks were mixed last week. Church and Dwight ( CHD )made a new all-time high at $ 96.84. Harley Davidson ( HOG ) was repulsed at its 200 day price moving average around $ 49 and since has retreated below its 50 day m.a. and is in consolidation. HOG could be $ 60 in November, but we don’t have an entry just yet. We bought Microsoft at its 200 day m.a. about 50.77 and were stopped out at $ 49.87. Enzo Biochem ( ENZ ) has come to life and appears ready to accelerate after achieving the $ 5 level. The HDGE is a buy for hedging against long positions. It has been a major success for those who believe in hedging. The losses were very small on the HDGE considering huge gains on long positions. We don’t currently have a position as volatility ( UVXY ) remains too low to get excited about being short stocks. That could change anytime.